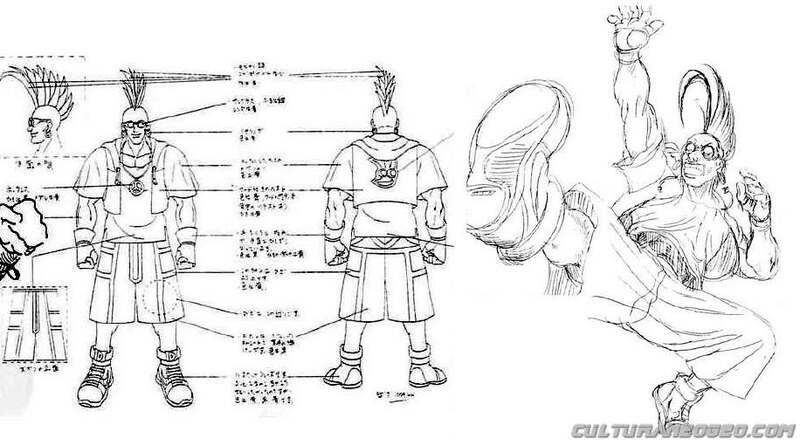 I’ve translated, and explains the design philosophy and reasoning behind several gameplay changes from Fatal Fury 3. 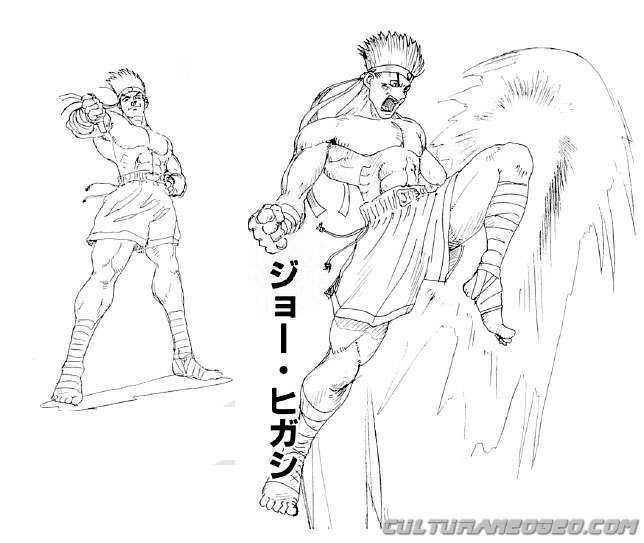 ● What was your concept for the development of this installment of Fatal Fury? A new Fatal Fury, one that both beginners and experienced players could enjoy, punched up with loads of snazzy visual effects. That was our image, but of course, the way newcomers and veteran players enjoy a FTG is dramatically different, right? Newcomers play relatively casually, and want to be able to perform lots of different special moves; meanwhile, veterans are more interested in precise timing and big combos. We tried to appeal to both, but above all, to make it the kind of game that jumps out at you visually. ● As the fifth installment of the Fatal Fury series, how does it relate to the other games? I think for many players, it will remind them of Fatal Fury Special: a fast tempo, lots of combos, and a distinctly different feel from other FTGs… the more I think about it, the more it reminds me of Fatal Fury Special. (laughs) But we didn’t want to make the same game twice, so we really dug deep for new ideas and mechanics to add, to make it even more intereting. ● What is the meaning behind the title “Real Bout”? That was actually the working project title of the original Garou Densetsu. As this development progressed, we wracked our brains trying to come up with a new title for this sequel, and wondered if changing the entire title itself wouldn’t be more interesting. Then someone suggested, “hey, what if we bring back ‘Real Bout’…” So we have a lot of attachment to it, as you might imagine. ● Why did you bring back Kim, Billy, and Duck for this game? Well… the first one we decided on adding was Kim. But we got really stuck in deciding between Duck or Cheng. We did some research on which character was more popular, and which had a more interesting moveset, and the dance-fighter Duck came out on top. Originally, we were going to add a new character… but during the development, Billy’s popularity grew and grew, and we decided on him. We considered adding a hidden character too, but we thought it would be strange to have another boss fight after the battle with Geese. ● Why did you bring back Geese as the final boss? We wanted to bring the saga of the Bogard siblings and Geese to a conclusion, so we chose Geese as the last boss. ● I’m guessing we won’t be seeing Geese again in future games then, will we…? Hmmm. It’s difficult, but among the developers, we see this as Garou Densetsu—a legend being told. Exactly because Geese is so charistmatic, it wouldn’t make sense to keep bringing him back again and again. We can probably use him again in a similar episodic capacity, though. 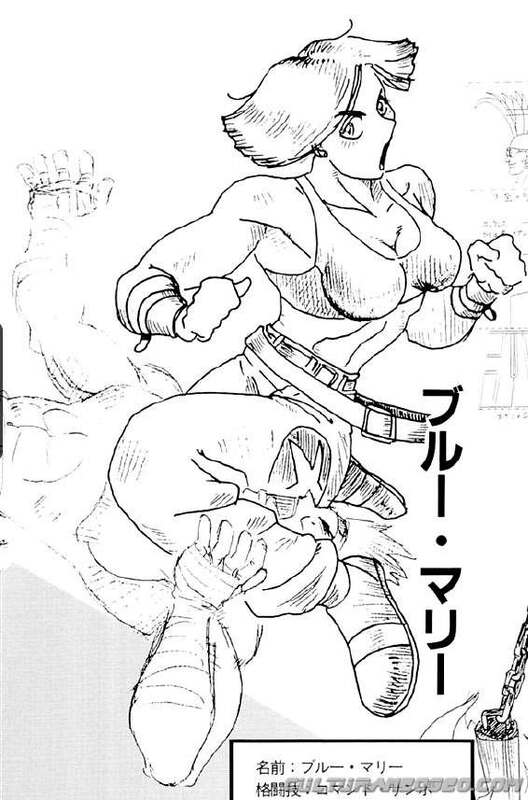 ● Lilly appears in Joe’s ending in Fatal Fury 3… what has happened to them since then? Billy has torn a rift between the two of them, but Lilly still seems to hold a candle in her heart for Joe. Joe, on the other hand, appears to still be crazy for her. ● I also saw that only Billy got a big update to his clothing this time. Does that perhaps reflect an inner change in his character? Not particularly. But did you notice the “NO SMOKING” print on the back of his jumper? It’s not to say Billy doesn’t smoke… it’s just something he found randomly in the city (he didn’t pay for it, by the way). ● Why did you update the layout of the buttons so much for Real Bout? About that. 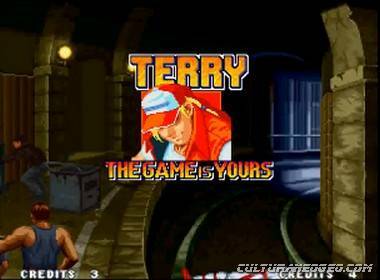 In Fatal Fury 3 we introduced the Oversway Line. It seemed to be very difficult for new players, but we were convinced the idea itself was good. So we tried to make it easier to use this game, which meant adding a dedicated button for it. That was the biggest reason for changing the entire button layout. ● Tell us about the creation of the new “Ring Out” mechanic. ● How did you come up with the idea for Combination Attacks? 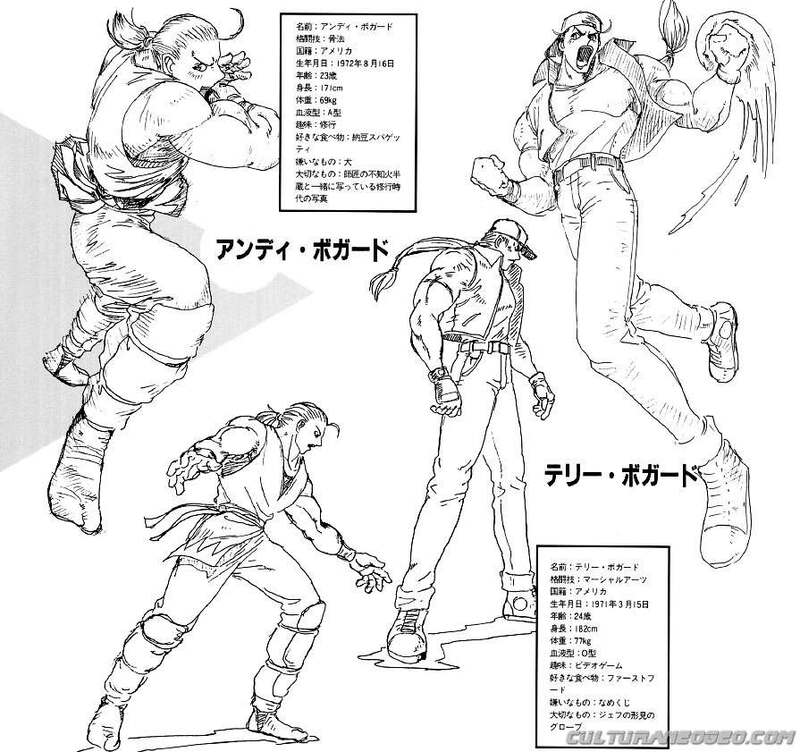 Well, there were “Combination Arts” in Fatal Fury 3 too… remember? They were really fun if you played a lot, but the input timing was too severe, so in Real Bout we wanted to improve on them. ● Can you tell us about the “Hidden Abilities”, which are even more powerful than Super Special Attacks? 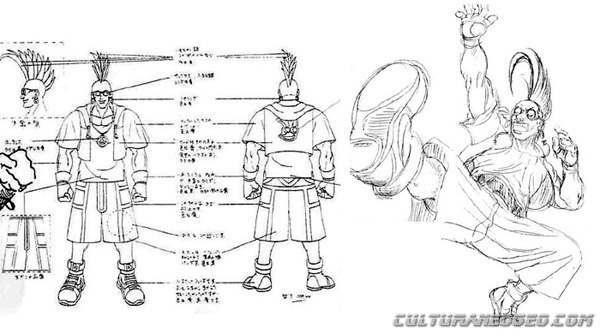 The Hidden Ability moves also first appeared in Fatal Fury 3, actually. As the name suggests, they’re supposed to be hidden abilities each character possesses—abilities far above their normal level—that are only released in the heat of battle when one’s psyche is being pushed to the absolute limit. 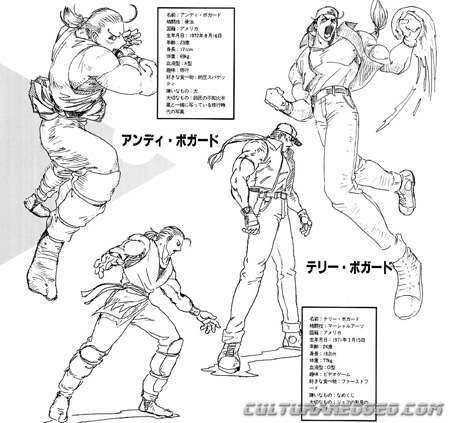 That was our image for them, but in Fatal Fury 3, you couldn’t use them freely at will. We wanted to make them easier to use and more in-line with our original vision, so we added a power gauge for them. ● The special moves are a lot easier to execute in Real Bout. And you publicly released the command inputs for the special moves ahead of the game’s release this time. Pulling off flashy special moves and combos are what make a FTG game feel fun. We didn’t think there was any reason to hide those or make them too hard to do. Plus, most of our staff and the players felt the same way. ● The combo system allows for very big chains. What made you include this new combo system? You’re referring to the Rush Hit system—it was to bring out the sense of excitement and exhiliration. Nothing beats that feeling of being able to chain together moves (especially special moves) into a nice combo. 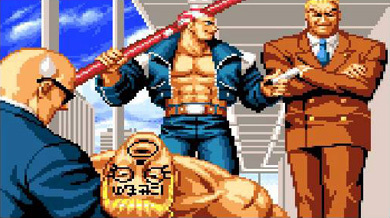 ● Please give a final message for fans of Fatal Fury series. I think the Fatal Fury games have a very distinct style and flavor from other FTGs. I know opinions will differ, but we’ve designed the games to be enjoyed by as wide an audience as possible, so I hope you enjoy them and continue to show us your support. in this game’s plot, in favor of the drama between the Bogard siblings and Geese.